Envio automatico | Funciones "Herramienta de Documentalista"
CWIS (pronounced see-wis) is software to assemble, organize, and share collections of data about resources, like Yahoo! or Google Directory but conforming to international and academic standards for metadata. 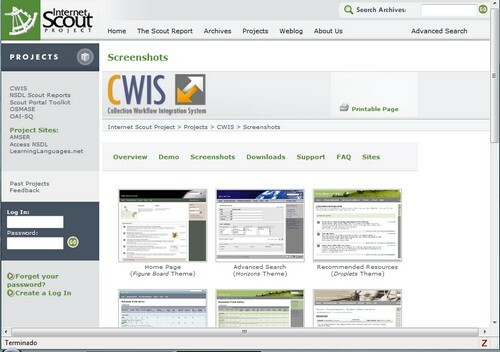 CWIS was specifically created to help build collections of Science, Technology, Engineering, and Math (STEM) resources and connect them into NSF’s National Science Digital Library, but can be (and is being) used for a wide variety of other purposes.